edge of Mosswood Park in Oakland, weaving through the desolate branches, piling on the base of the tree, squeezing into the natural grooves of the oak, and resting on fallen leaves in the yellowed grass. Thousands of them have hatched this week as part of an unusually large annual bloom, according to experts. And even more moths are on the way. Experts say they will strip the trees — but won’t do any real damage. 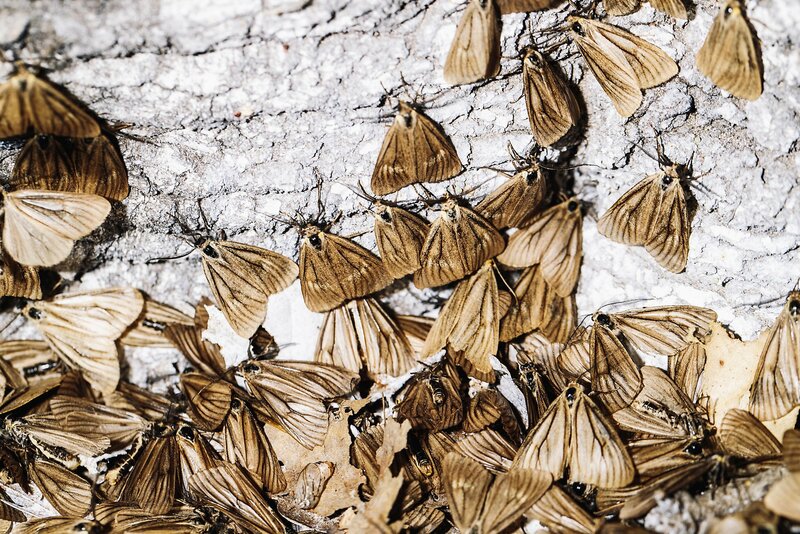 Roughly 20 to 40 percent of the moths are still in cocoons clinging to oak trees, said Damon Tighe, a member of the California Center for Natural History, a nonprofit naturalist collective based in the San Francisco area.